FR. FREDERICK A. REUTER, K.C.B.S. This quotation sets forth the objective of this special section of Catholic Tradition. Our Divine Master is ready to bestow innumerable graces through this Sacrament, which is also the outpouring of His Sacred Heart, and which are lost in consequence of the ignorance and indifference of men. When the Most Holy Sacrament is not revered and loved, scandals will abound, faith will languish, and the Church will mourn. On the other hand, if this Sacrament is worthily and frequently received, peace will reign in Christian hearts, the devil will lose power, and souls will be sanctified. The Sacred Heart Reader addresses itself not only to the faithful, who find all delight, all comfort and help in their belief, but also to the indifferent ones of the world who must learn what precious joys are tasted and shared at the table of the God of peace, the God of love, of Him Who cries out to us from His earthly Tabernacles, "Come to Me." 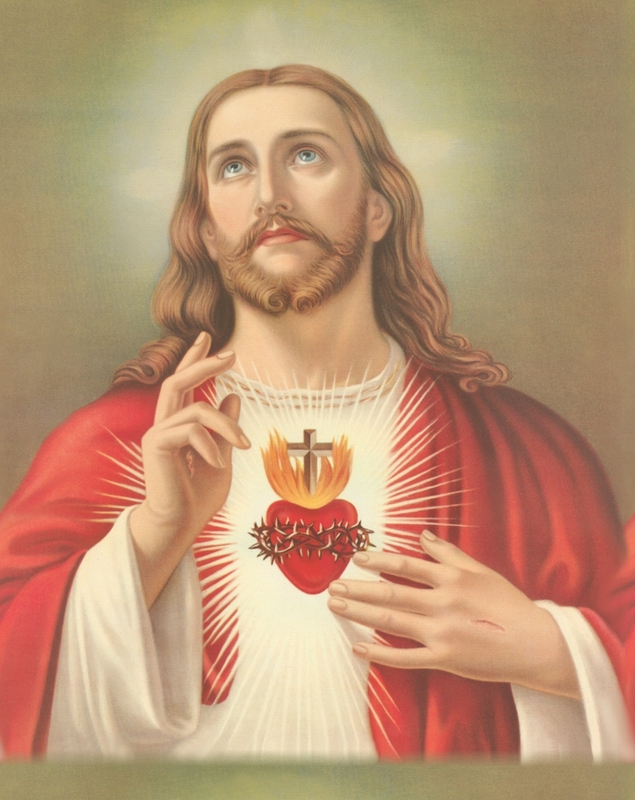 The Sacred Heart Readings were originally taken from Abbe Berlioux, Month of the Sacred Heart, published in Paris, 1885, and republished this work, MOMENTS DIVINE. This book is a must for any Catholic library. We encourage you to purchase it from TAN, so we are only publishing a few of the chapters-----there are 24 plus the Devotion section-----and only some of the prayers and devotions contained therein. The link provided above in the title takes you to exact page of TAN's site where the book is displayed for sale. The images we are using in our presentation are not from the book, which has a color cover only with a black and white drawing of St. Pascal Baylon, Patron of the Blessed Sacrament. Web presentations are more visual, so we use the most beasutiful graphics we can make. For devotional use the book is superb and easily readable by almost everyone in the family. 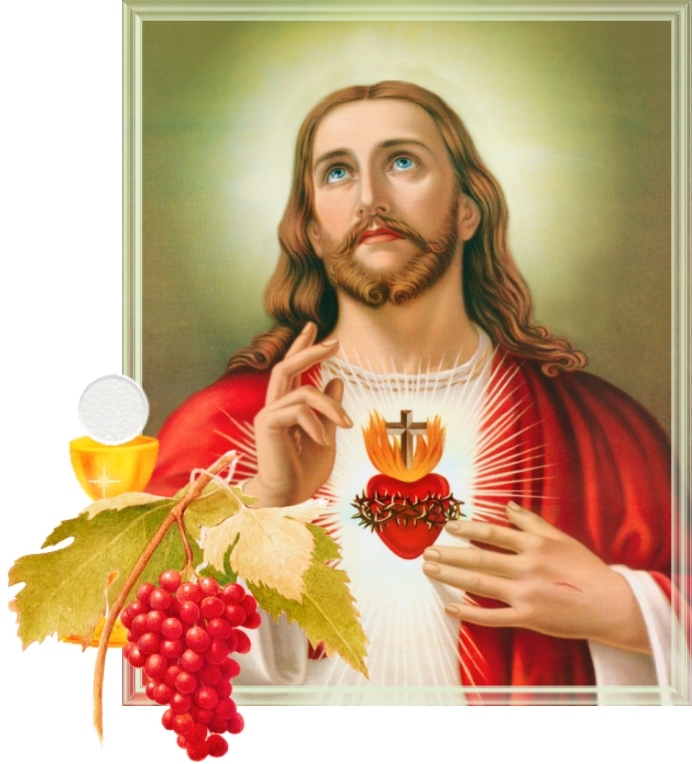 Since most homes have an image of the Sacred Heart, one can read from the work with the Sacred Heart image near by as an aid if so desired. The banner image is a composite we made and cannot be purchased anywhere. If anyone would like to purchase the Sacred Heart, plain without the halo, contact us and we will email you the web site URL. NOTE: the page on St. Pascal Baylon is not from the book, but we thought you would want to learn about this sweet Saint. and I will love him, and will manifest Myself to him." assent according to the rules of prudence by which they are probable and piously credible." rejecting it with a disdainful and presumptuous spirit." or even related by those who witnessed it, it is scarcely believed, but it is none the less true." has renewed in his soul the image and likeness of God." attested as the greatness of the wonder would seem to require, it loses not for that its truth."